Boom lifts offer sideways outreach by a telescopic or articulated boom allowing works in high level applications. Boom lift power options include: Electric, Diesel & Bi-Energy. 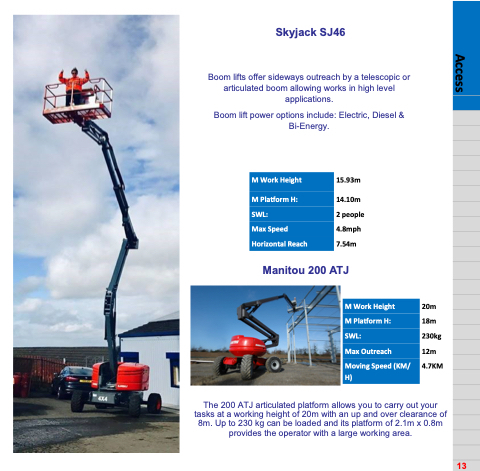 The 200 ATJ articulated platform allows you to carry out your tasks at a working height of 20m with an up and over clearance of 8m. Up to 230 kg can be loaded and its platform of 2.1m x 0.8m provides the operator with a large working area.